Set against the backdrop of twentieth-century America, the social fabric of segregation and the broad canvas of foreign war, "Benjamin O. Davis, Jr.: American" tells a compelling story of personal achievement against formidable odds. Born into an era when potential was measured according to race, Davis was determined to be judged by his character as an American, and not because of color. With twelve million citizens -the black population of the United States-pulling for him, Davis entered West Point in 1932. "Silenced" by his peers for four years, spoken to only in the line of duty, David did not falter. He graduated 35th in a class of 276 and requested assignment to the Army Air Corps, then closed to blacks. He went on to lead the 99th Pursuit Squadron and the 332nd Fighter Group-units known today as the Tuskegee Airmen-into air combat over North Africa and Italy during World War II. His performance, and that of his men, enabled the Air Force to integrate years before civilian society confronted segregation. Thereafter, in a distinguished career in the Far East, Europe, and the United States, Davis commanded both black and white units. Benjamin O. Davis, Jr., retired in 1970 as a three-star general. 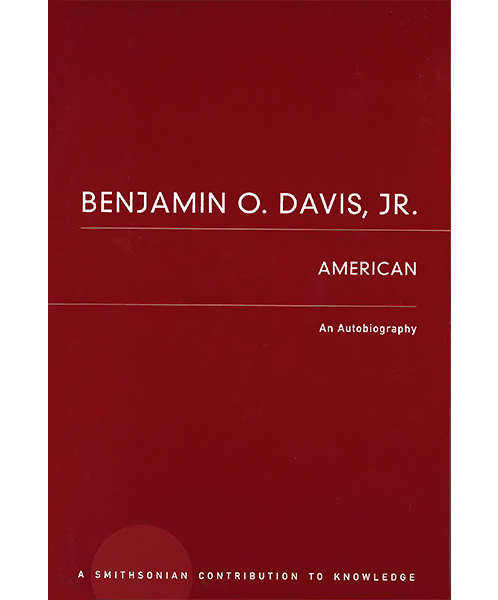 His autobiography, capturing the fortitude and spirit with which he met the pettiness of segregation, bears out Davis's conviction that discrimination-both within the military and in American society-reflects neither this nation's ideals nor the best use of its human resources.